hash browns in oven. Follow heating instructions on package. Remove the burgers from pan. Beyond Burger patties on the baking sheet and top with cheddar cheese. you watch carefully as broilers cook quickly and cooking times can vary. 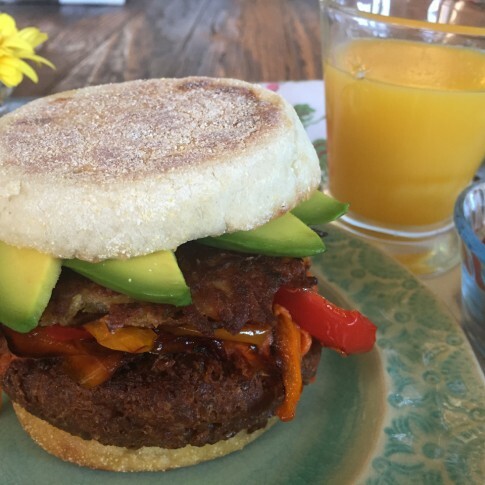 burger, bell pepper, potato pancake and avocado.